A Step-by-Step Plan to get Your Closet Organized and Everything in Place. “Organize Your Closet in Just 10 Minutes a Day” will give you a quick and easy plan to bring order to your closet. Soon everything will be in its place and you’ll be SAVING 10 minutes a day getting dressed! Stop digging through your clothes each day searching for an outfit only to be frustrated and rushed! Save time getting dressed, feel organized and put together, and walk out feeling confident and ready for the day everyday! The Leading Online Organizing Coach for Business & Life Success! 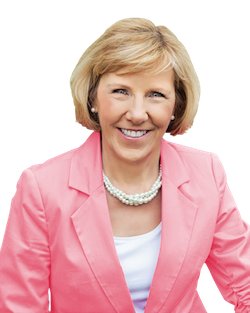 Marcia Ramsland is well known as The “Organizing Pro,” the leading Online Organizing Coach, and author of the Simplify Your Life: Get Organized and Stay that Way book series, which has sold over 100,000 copies. Marcia personally coaches individuals and organizations to be highly productive personally and professionally. Marcia is a nationally recognized media guest appearing in Woman’s Day and Real Simple magazines, Martha Stewart radio, and the Wall Street Journal. Hundreds of clients and audiences over the past three decades agree with her belief that anyone can become more organized and productive – even YOU!